relaxing techniques for face, scalp, neck, back, leg and feet! Learning how to give a massage that's relaxing, and provides pain-relieving health benefits for your family or friends can be easy and fun to learn. Headaches, muscle cramps, neck pain, and back soreness can all be eased with a few minutes of massage. How to give a massage...relaxing techniques for face, scalp, neck, back, leg and feet! Therapists learn massage in school, but if you just want to learn how to massage a friend or family member when they hurt, we want to share great techniques that can help you...help them! Leg Massage - how to give a massage for muscle cramps, shin splints, hip pain and sprained ankle. Great for increasing circulation, decreasing edema (water retention) or loosening muscles due to cramping. Abdominal Massage - types of massage therapy often used for women with fertility issues, those who suffer from constipation, or babies with colic. 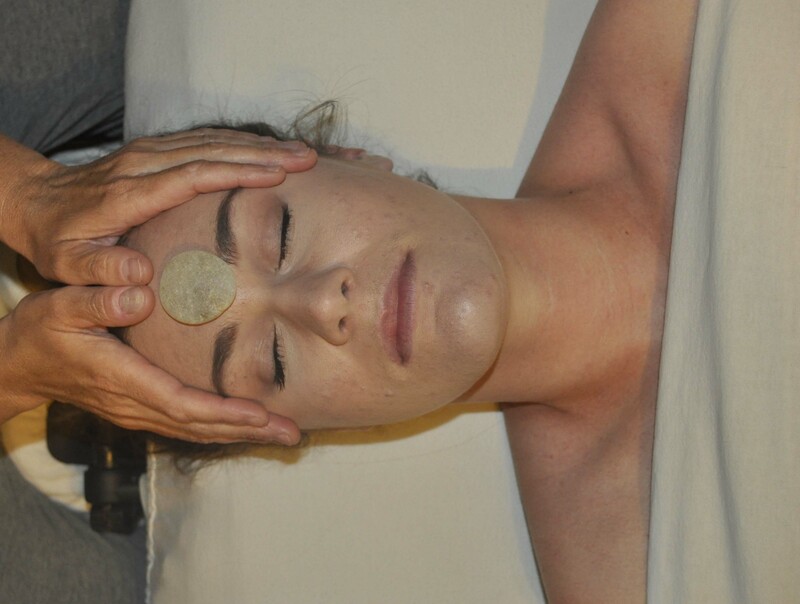 Face Massage - teaches different types of massage for the face using circular movements around the temples, neck, cheekbone, mouth, and across the forehead. Start the massage with a gentle 3-5 second touch. Either start at the top of the arms or cradle the face with your hands on each side, just a gentle touch for a few seconds. Use warm massage oils, lotions or cream. Warmth tends to instantly relax your client. Begin the massage at the shoulders and move hands around deltoids, curling hands to the back, using light pressure at the rhomboids, and move up the back of the neck. Concentrate on upper trap muscles for a few minutes and move to the back of the neck, paying extra attention to the muscles at the base of the skull. Continue neck massage for 1-2 minutes, working each side. Gently pull the head toward you and then move your index and middle finger to add pressure to the occipitals, one side at a time. When learning about how to give a massage, learning relaxing face and scalp massage is critical! Gently move to the back of the ears. Massage lightly 4-5 repetitions (both sides at the same time). Now, gently pull the ears at the lobe. Add light pressure at sinuses as you move down toward the cheekbones. Use thumb and index finger to move slowly along jawline. Repeat twice. Massage the underside of the arm - not just the top. As you do leg massage, be sure to include the hip area. Many therapists just do not work hips at all. If you are just learning how to give a massage, start adding hip massage to your routine now, and you won't even think about it, it will always just be routine. As you end your leg massage routine, gently give the leg a pull, stretching hip muscles slightly. Then, gently move your hands to lift the underside of the leg as you move back to the top of the leg. Do this for upper leg and lower leg (when client is in both prone and supine position). When doing the foot massage, slide your fingers (one finger between each toe) and gently pull at the ball of the foot. It feels so good and it's a simple move. Using both thumbs together, begin the back massage at the top of shoulder and add light pressure down the back along the spine. Repeat 3 times for left side, and do the same when you move to right. Take your first three fingers and add pressure, again running down the back along spine. Repeat 3 times, and do the same when you move to the right. Using your forearm and very light pressure, move forearm along the shoulder blade (between blade and spine). This is a very important point when learning how to give a massage...Do not add direct pressure with elbow! Do this 3 times on each side. Now, as you move through the massage, gradually begin the lower back massage. Using both of your entire hands, add sustained pressure to the low back area just above the sacrum. Starting at the low back, using the palms of hands, push upwards toward the neck, along the spine. Next, work neck area with massage to each side, adding more pressure at top of neck /base of the skull. Neck pain is very common anymore, with so many people working on computers all day, so be sure to work these muscles very well. Use your last few seconds to give the client a nice scalp and head massage on the back of the head. If possible, use massage stones when giving back massage. They warm the muscles easily and tend to really relax your client! Our book, "Sorry, I'm Booked" is loaded with great ideas and resources to help you build a thriving business, increase your earnings, and keep your clients returning to your practice. It is priced affordably for every therapist.Get it here! This DVD, Therapeutic Massage at Home teaches how to give a massage to family or friends if you want to just learn basic skills for giving massage in a home setting, rather than actually going to massage school to learn.